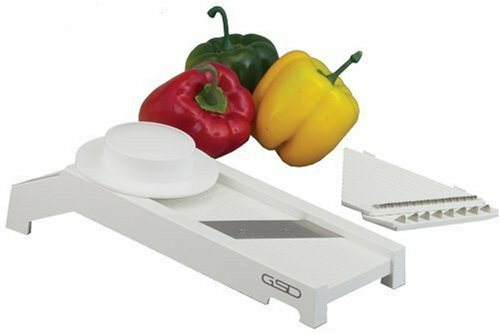 The Original GSD Universal Grater makes quick work of chopping and slicing all kinds of hard fruits and vegetables. Includes 3 exchangeable grater inserts for chopping and slicing in 1, 2 and 3 mm thicknesses. Comes with a handy end-piece holder to protect your hands while slicing. Blades are made of sharp and sturdy stainless steel. Click the button below to add the GSD Universal Mandolin Made in Germany to your wish list.